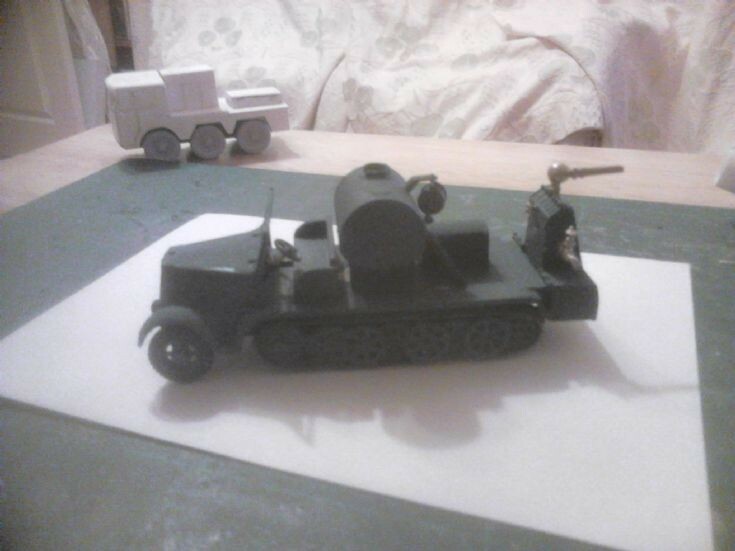 There we have a model of the captured half track that was converted into a fire tender using the moniter body work. Thought this was done in UK but being told it was based in Germany for use on a range. There was also one with the Co2 body. Added by Bristol Bob on 17 April 2013.
that's the next one on the list, got the kit just need some time to start it. Added by Cazdaz on 18 April 2013.